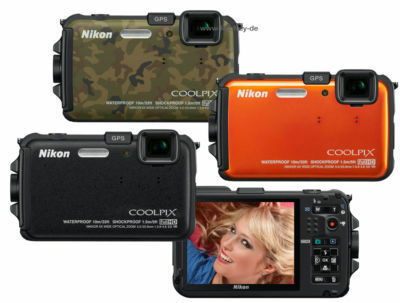 A first for Nikon - the new Coolpix AW100 is a rugged 16-megapixel pocket camera built for abuse. It's waterproof to 33 feet (10m), it can take drops of 5 feet (1.5m) and it can handle temperatures as low as 14F (-10C). It has 1/2.3-inch backlit CMOS sensor, a 5x 28-140mm Nikkor VR lens and full HD video. It's perfect for mountain bikers, fisherman, skiers, kayakers, surfers, etc. Its waterproof. 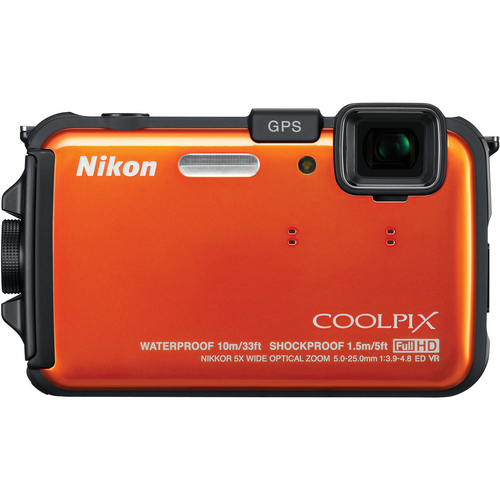 I use it at waterparks and to snap quick shots of kids. I also dont have to worry about a small fall or my kids taking pics. This is the second AW100 I have owned. The first one leaked on a trip to Hawaii during snorkeling. Not sure if we didnt close it up right however it was covered by Nikon warrenty with no issue. I would have never purchased another. The quality of the images are great about 1/8 of the time. I have complained to Nikon about the circle in the middle of 1/2 my pics and they tell me its due to humidty. I do live in Houston, however its a water camera...so shouldn't the camera work with out problems of humidity build up. I have owned several other cameras with houses cases for water use and never had any issues with humidity effecting clarity to the level. Save your $$$ buy something else. This camera might be great for capturing images standing still. Its a multiuse camera. Its nothing fancy. Wouldn't recommend for high Humidity areas such as Texas or the Carribean. 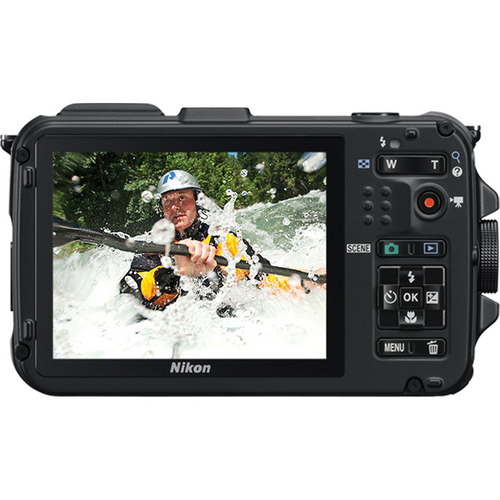 Nikon did honor the warrenty on camera when it flooded and screen went black. Sent me a brand new one immediately after returning. Clear sharp pictures. Easy to use. Lens fogged up from the humidity. We took the AW100 to an outdoor car show. After about an hour, the lens fogged up and our photos had a cloud in the middle of the shot. It came with ARC Panorama Maker 5 software and that has been fun to make some panoramas. Very happy with my purchase and wouldn't hesitate to recommend this camera to someone who was looking for a tough, waterproof camera to haul on adventures. The user interface is very easy to use, at least for me! The battery life isn't the best when using the flash or zoom a lot. That may be an issue for some of the longer rides i have planned this summer. 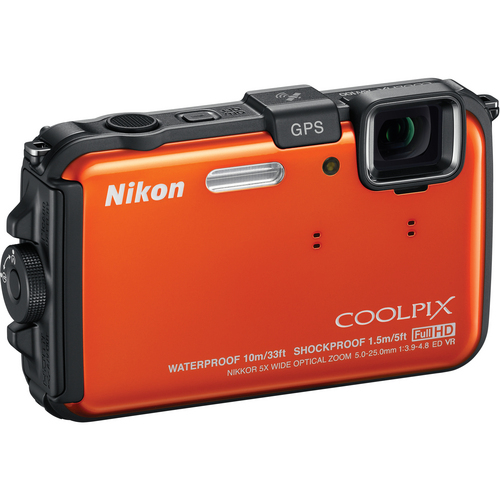 When my Nikon Coolpix L22 started to get old, with a broken battery cover, over 5000 images taken and a scratch on the lens, I started to look at my options for replacing it. I mountain bike a lot and like something I can have on my shoulder and can grab quick to capture a cool shot of a cool move on the bicycles. After a few evenings of fondling cameras, I chose the AW100. I'm a touchy, feely kinda guy. It has a user interface I am used to. Also, its ability to be semi drop-proof and waterproof. It's been just over a month with few hundred pictures taken and I think I chose pretty well. Haven't had to use it. The Nikon website was easy to use and register the camera. 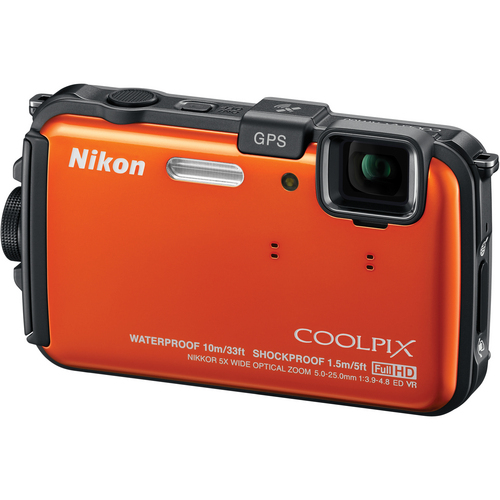 Several other cameras in Nikon Coolpix series, the waterproof Olympus.